Open House at TSD Nashville on Friday, October 26, 2018. 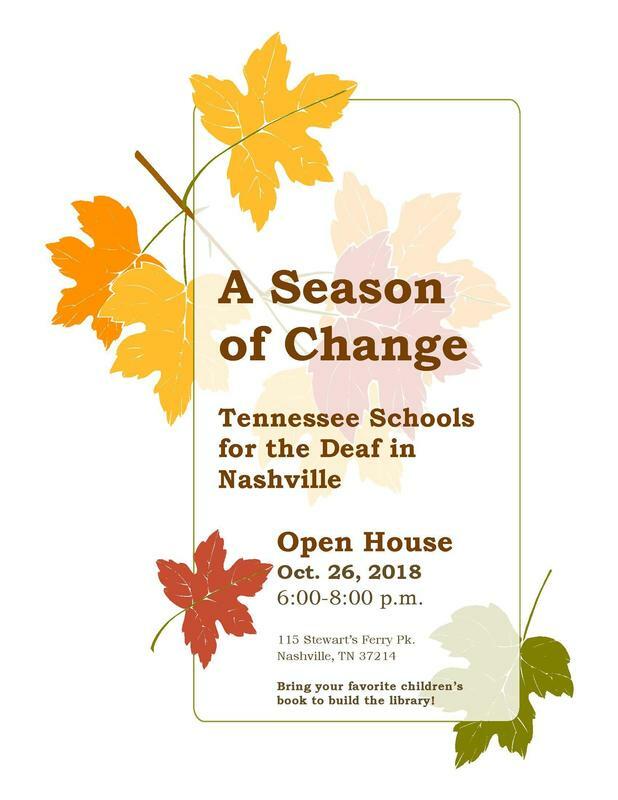 Tennessee School for the Deaf Nashville campus will host "A Season of Change" Open House on Friday, October 26, 2018 from 6:00 - 8:00 pm CDT. *Please bring your favorite children's book to help build the library.